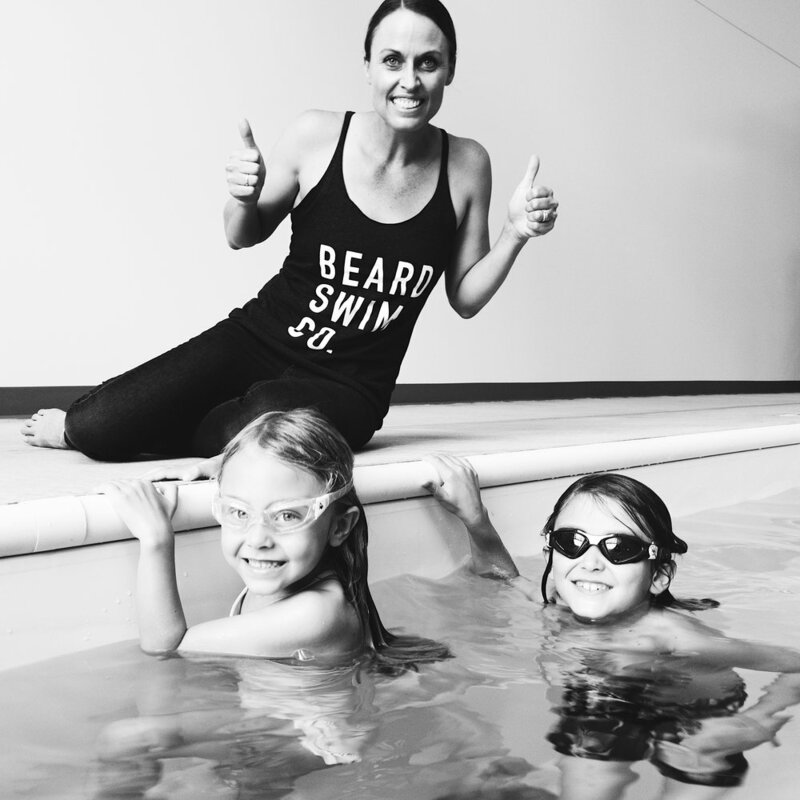 At Beard Swim Co. we believe the ability to swim is one of the greatest gifts you can give your child. Our goal is to provide our students with the proficiency and confidence needed to safely immerse themselves in the aquatic environments and activities they will encounter throughout life. Our director, 4-Time Olympian Amanda Beard, trains each of our instructors thoroughly with an emphasis on safety and customer service that is tailored to meet the needs of small classes and the individual. Swimming is our life and we want it to be a part of yours! Going on a tropical vacation or spending your summer at the lake? We strongly recommend our accelerated course to parents who are concerned with water safety and want to see a radical change in their child's ability in a very short period of time. Our instructors start day one by evaluating their student (1:1 ratio) and, based on the individuals age and abilities, escalate and compound the use of new skills over successive days. Children are challenged in this course as the emphasis is on mitigating the risk of intentional and accidental exposure to aquatic environments. To maximize the effectiveness of the accelerated course we recommend it be followed up by weekly group or private lessons. $499* / 8 lessons over the course of 2 weeks. Private lessons with our director Amanda Beard are a once-in-a-lifetime opportunity to be coached by a World Champion, Former World Record Holder and 4-Time Olympian / 7-Time Olympic Medalist. Amanda began swimming at the age of 4 and by the age of 14 had already won a Gold and two Silver Medals in the 1996 Atlanta Games. To say she knows swimming is an immense understatement. If you swim competitively and are trying to reach the next level, Amanda will show you how to train efficiently, maximize your unique abilities and perfect your technique. These lessons are all about you and reaching your potential! Must be proficient in all four strokes. Space is very limited.